Male fertility expert Dr. Martin Bastuba, in coordination with the Spinal Cord Injury Program at Sharp Mary Birch Hospital, San Diego, California, played a key role in building the family of a spinal cord injury patient. Enrique suffered a spinal cord injury more than 25 years ago after a car accident, but sought to grow his family despite the physical limitations. Enrique and his wife, Bertha, conceived their first child, a son, with the assistance of the Spinal Cord Injury Program at Sharp Mary Birch Hospital. 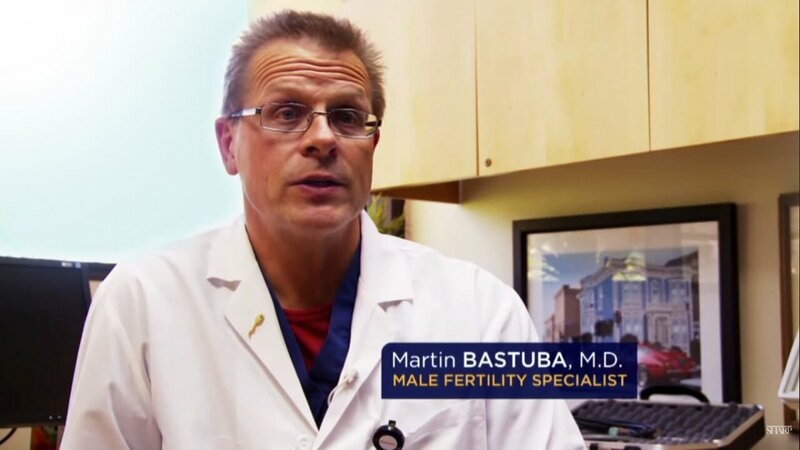 The couple wanted to grow their family once more, and they enlisted Dr. Bastuba’s expertise for help. Dr. Bastuba’s innovative procedures help men with spinal cord injuries continue to grow their families. Many who have suffered from such an injury believe that they are no longer able to have children and that their fertility was permanently damaged when their spinal cord was injured. However, even though harm to the spinal cord can potentially impact a person’s fertility, there are many procedures that can assist in conceiving after such a life-altering injury. Male Fertility & Sexual Medicine Specialists, led by Dr. Bastuba, utilizes sperm retrieval techniques and assisted reproductive technologies in order to build the families of spinal cord injury patients. For Enrique and Bertha, Dr. Bastuba’s sperm retrieval technique, together with an in vitro fertilization procedure, helped the couple conceive a baby girl. Check out the video below to see Enrique and Bertha’s full story and to watch Dr. Bastuba discuss sperm retrieval for spinal cord injury patients.